To call the Nike Cortez a big shoe in Nike’s history is to pretty much miss the point—the Nike Cortez is Nike’s history, the sneaker that made all the rest of this possible. It wasn’t the first shoe to bear the Nike name, that honor went to an eponymous cleat, but the Cortez was Nike’s first major innovation, the first step in what’s turned out to be a 43-year (and counting) run. The Cortez was born in the early ‘70s when Bill Bowerman put an EVA wedge into the midsole of an existing Onitsuka Tiger runner. It was known as the Aztec in the Onitsuka line, and it was aimed at the casual runner, a group that was exploding in part due to Bowerman’s own efforts. (Never mind that it promoted a heel-strike stride, something that Nike is attempting to backtrack on even now.) When Phil Knight and Bowerman split off to form Nike, one of the things the judge had to rule on was whether the design belonged to Onitsuka or Nike. Knight and Bowerman won, and Nike hit the ground, er, running. From its humble beginnings as a jogging shoe, the Cortez has lived many lives over the past 40 years. It’s been the favored shoe of everyone from L.A. gangbangers to the world’s most famous fictional shrimp boat captain. 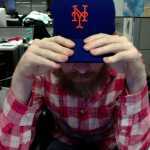 It’s been re-issued countless times, and will return once again this weekend. I suspect it will find a different audience once again, even if Kendrick’s “white tees and Nike Cortez” promise was broken by a Reebok Classics deal. Why? Because the Cortez is Nike’s Stan Smith, a simple, elegant shoe with real history behind it. And while previous re-releases have coincided with periods when highly technical sneakers were in style, this drop is right on time. No need for Flywire-infused updates or elaborately lasered one-piece uppers, the originals are perfect just the way they are. 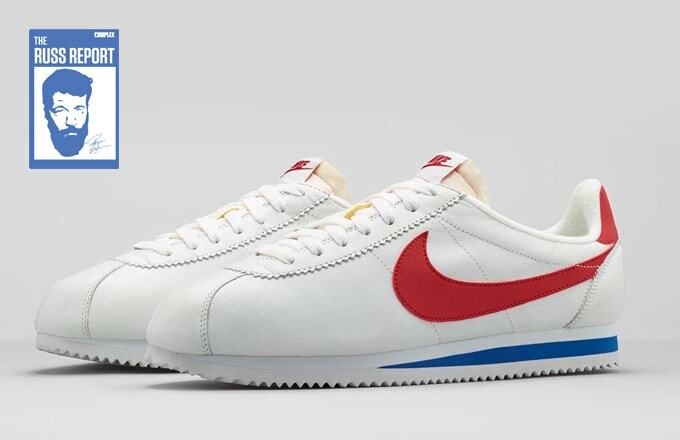 And in its Forrest Gump approved white, red and blue makeup, the Cortez is every bit as iconic as the white and green Stan. What makes the Cortez even more interesting—and perhaps more influential—than the Stan Smith is how its DNA has been passed on through nearly every significant Nike running shoe since, from the Air Max 1 to the Shox R4 all the way up through the Air Max 2015. The cushioning itself has evolved, but the basic principle has remained the same. And while it may be a bad idea to run in the Cortez in 2015, if you’re running in Nikes you’re essentially running in a direct descendant. Well, maybe not if you run in Frees. As sneaker history has grown, there’s been a marked (and market) interest in recognizing historically significant sneakers: the Stan Smith was the first leather tennis shoe, the Air Jordan 1 changed the nature of signature sneakers, the Converse Chuck Taylor All-Star is the granddaddy of them all. And as such, models that were formerly relegated to discount rack fodder have earned much-deserved new life. It’s time for the Cortez to join them.